Happy Friday y'all! We are out of school again today and I'm looking forward to getting back to my normal schedule on Monday. I love my snow days and am thankful for a little time off, but when they called school off last Friday for snow I definitely wasn't expecting to be out of school for over a week. I miss my students and my routine! As usual, I'm linking up with Andrea, Erika, and Narci today to share some of my favorite things from this week. First up on my list of favorites this week are three Anthropology candles that I can't seem to get enough of. I ordered a ton of candles to give as Christmas gifts and ended up keeping a few of my favorites for myself because they were just that good. I've been burning each of these daily and they leave my house smelling amazing. Although I LOVE all three scents, this one is probably my favorite. I hate to admit it, but I ordered this one thinking I was going to give it as a Christmas gift and I loved it so much I kept it for myself. 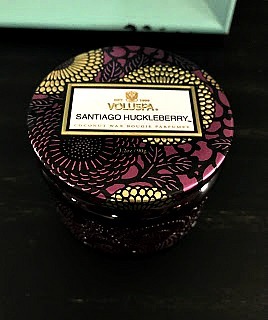 All the scents for this brand have amazing reviews, and I am dying to try them all out. Since it's been SO cold here, I've been all about being "comfy & cozy" and these Patagonia pullovers are my FAVORITE for cold days. 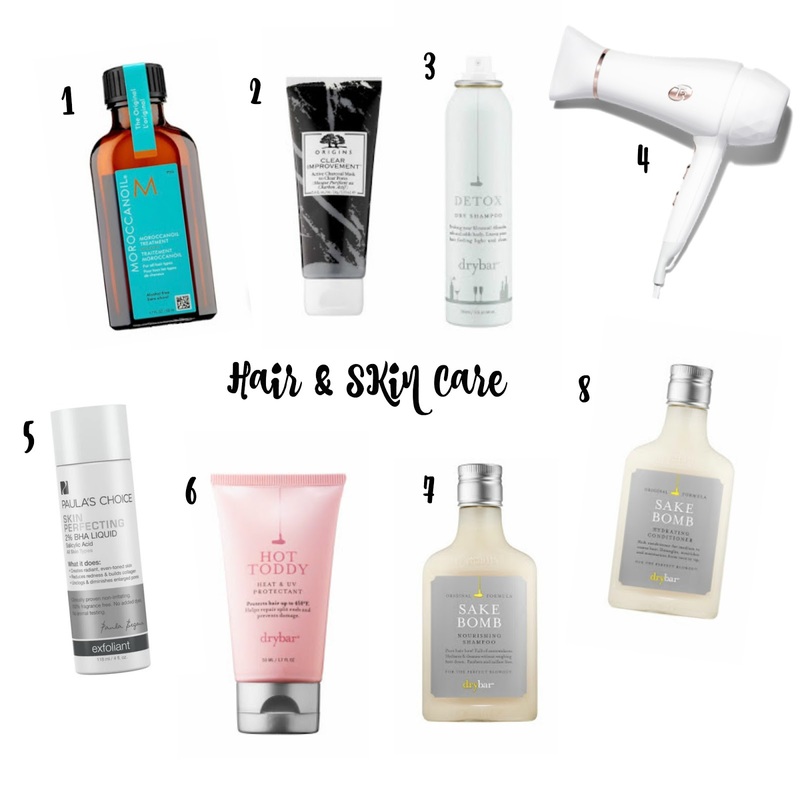 Yesterday I shared some of my FAVORITE hair and skin care products, you can find them all here. With all of the snow that we've had over the last week, I've been stuck inside and haven't really wore anything other than my pajamas, and athleisure. 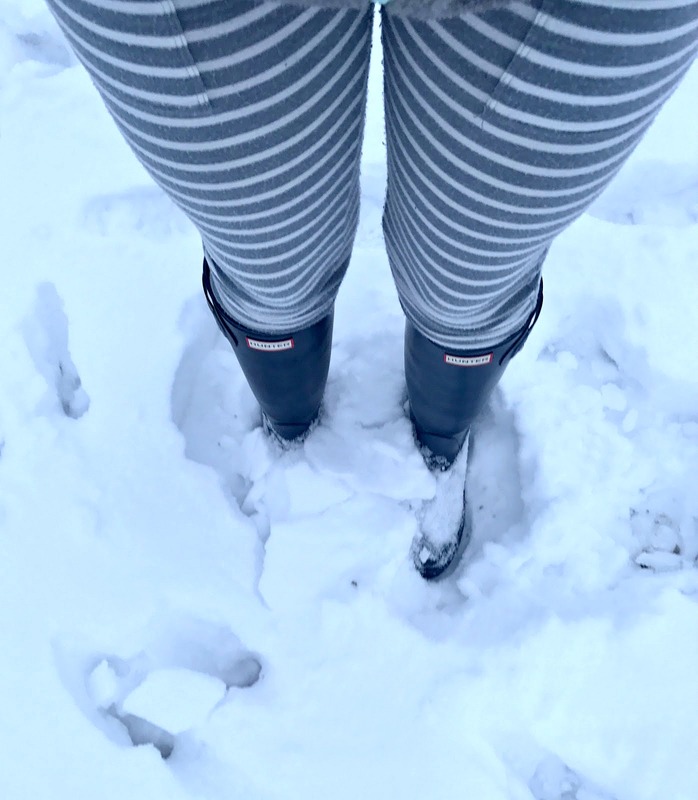 I lived in my FAVORITE PLUSH LEGGINGS pretty much all week long (they were one of my favorites last week, but I felt they were worth mentioning again). I even wore them out of the house a few times. My HUNTERS were definitely a FAVORITE as well. They have kept my feet warm and dry through all the snow. 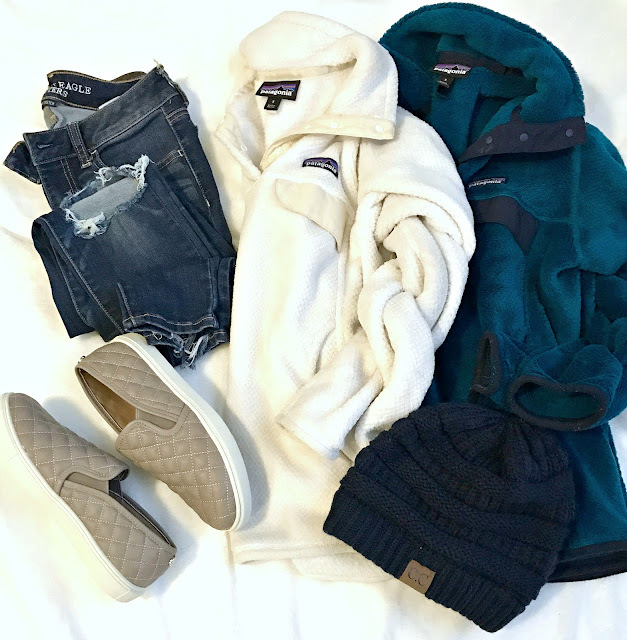 I've also been wearing THIS Sherpa vest on repeat. 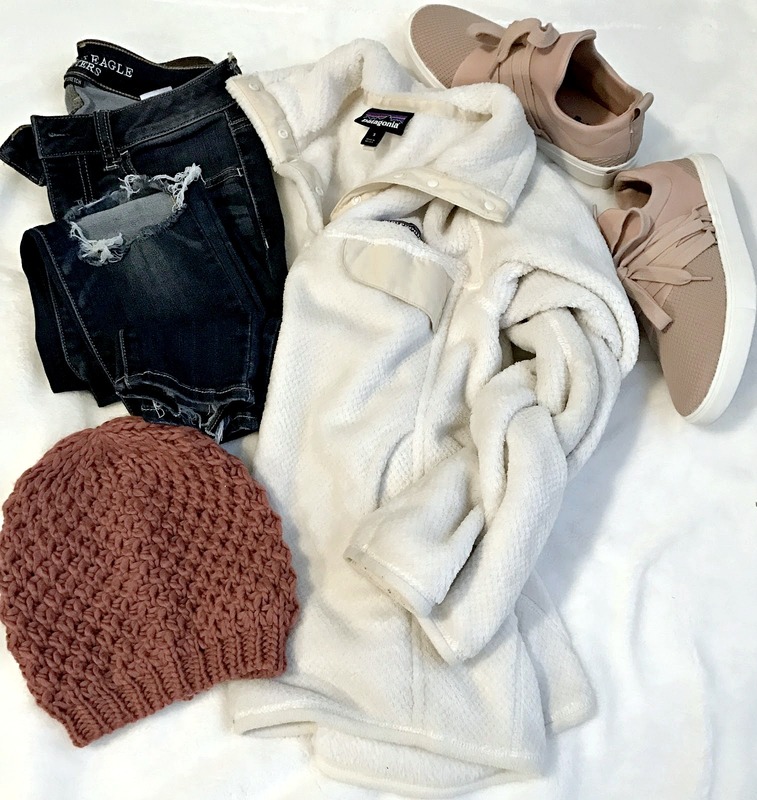 I've seriously never owned anything so soft and cozy, it feels like a blanket. I even ordered the Sherpa pullover that is made by the same brand because the vest is so good. I'll let y'all know if the pullover is as good as the vest once I get it in. After months of thinking about making a Facebook Page for my blog I finally decided to go for it and I'm so glad that I did. You can find my page HERE. 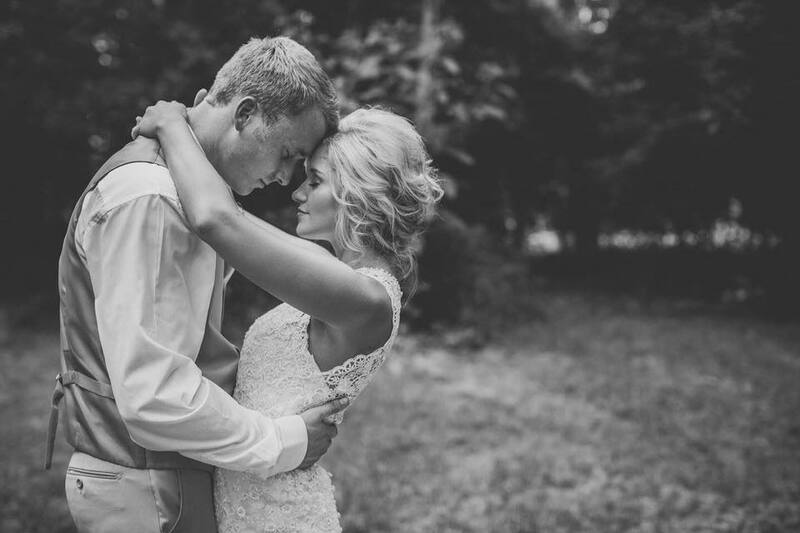 I would LOVE for y'all to like my page and follow along on there for updates about the blog. Happy Friday! I think I'm finally going to have to jump on the Patagonia train. I've never owned one but everyone else's look so cozy! They are my favorite! I get so much wear out of mine! 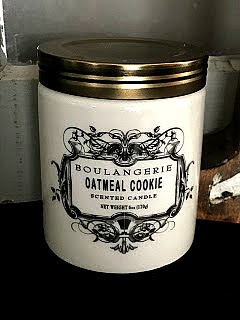 I have heard such great things about the Oatmeal cookie candle! 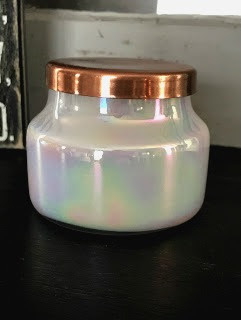 I banned myself from buying for candles though until I burn through some of my collection! lol I'm such a candle hoarder! Its amazing! I should probably ban myself from buying more too, but I don't think that would stop me. Lol I have SO many, but I love buying new scents. Love the Anthropology candles! The Capri Blue Volcano one is my favorite!! I’m so with you on being ready to get back in my routine! I was definitely not expecting a week off either! Me too! I feel like their scent lasts so much longer than some of my other candles. And yes!!! I'm hoping we don't see any more snow for a while.